This is an ebook provided with RESELL RIGHTS upon purchase and does not govern by any copyrights law. While enjoying the content that is presented inside, you are allowed to modify/change the contents of the ebook which means that you are eligible to make yourself the author of this ebook and resell it. You can also resell this ebook without modifying the content of this ebook too. So why are you still waiting now? Imagine you sell 10copies of this within a month, you will not end up losing anything, why not give it a try? 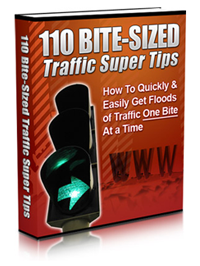 This ebooks also teach you how to generate traffics on your current website which in turn gives you a greater profits as more people notices your products!